In today’s lesson I’m going to show you something that’s loads of fun if you’re playing with another electric guitarist. It’s all about using octaves in a very specific way to add harmonic interest to the chords you’re playing. As you can see in the video above, you would need two electric guitars for this to work. Most modern worship teams typically have two electric guitarists, which means you can create a really big sound if you know how to create dual guitar parts. A common mistake guitarists make is to play similar parts that take up the same frequential space in the mix. When that happens, it’s hard for the sound engineer to properly place each guitar in the mix and they tend to mute one of the guitarists instead to clean up the mix. Well there are many different approaches we could discuss, but one of my favourites is to use octaves to play either 3rds or 5ths while the other guitar player focuses on low end power chords. 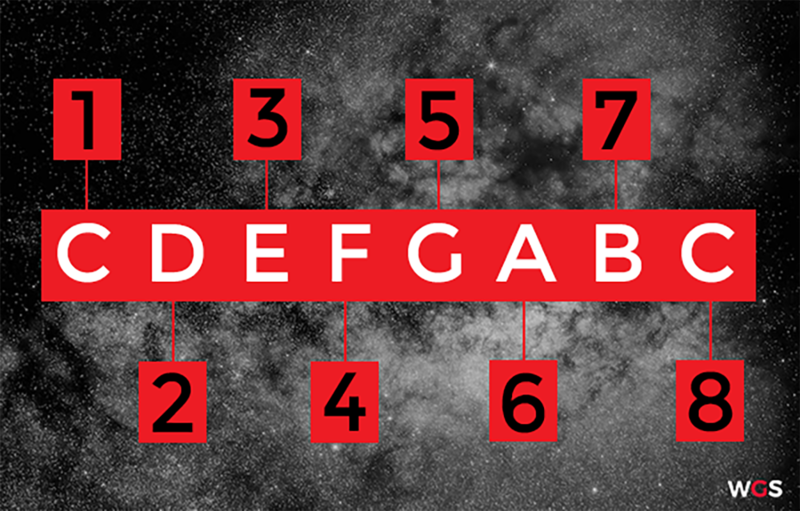 So before we carry on, what exactly is an octave? As the name suggests, it’s an interval that’s 8 notes apart. C to C would be an Octave. I find it helps to view an interval on one string so you can see the physical distance between the two notes. So that’s the octave shape that I used in this example. Now that you know what the octave shape looks like, let’s look at how you can use them with basic triad chords. All basic major or minor chords are triads. 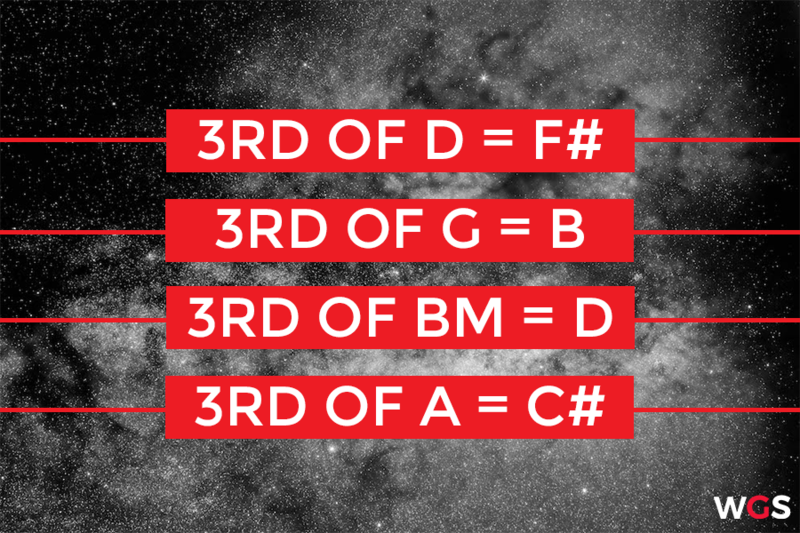 It simply means that the chord consists of three notes. The Root, the 3rd and the 5th. Those three notes played together will make up a triad and are known as chord tones. 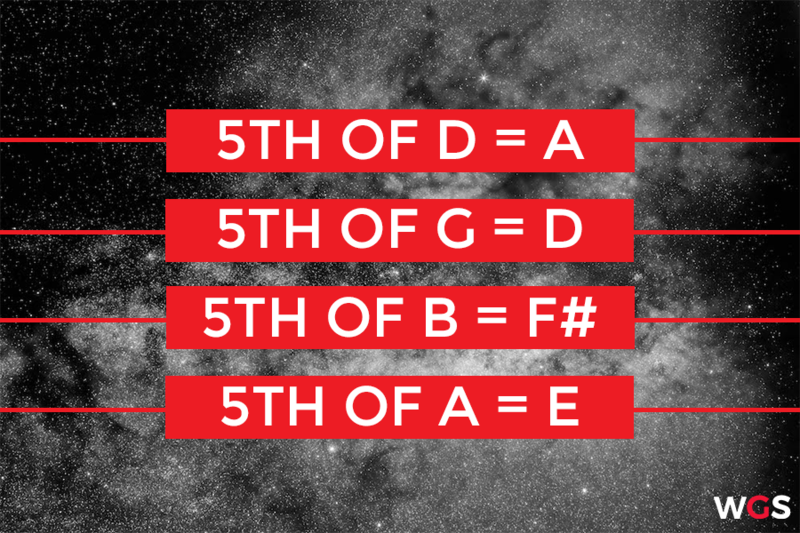 Now that we know what the chord tones are, the second guitar can play either the 3rds or the 5ths while guitar one plays basic single notes or power chords. When you listen to the example, you’ll hear that 5ths have a very consonant, powerful sound. Whereas 3rds have a sweet sound and add more colour. This is the most basic way to introduce this concept to you, and in future lessons I’ll show you how you can combine different notes and even add non-chord tones for some harmonic and melodic interest. 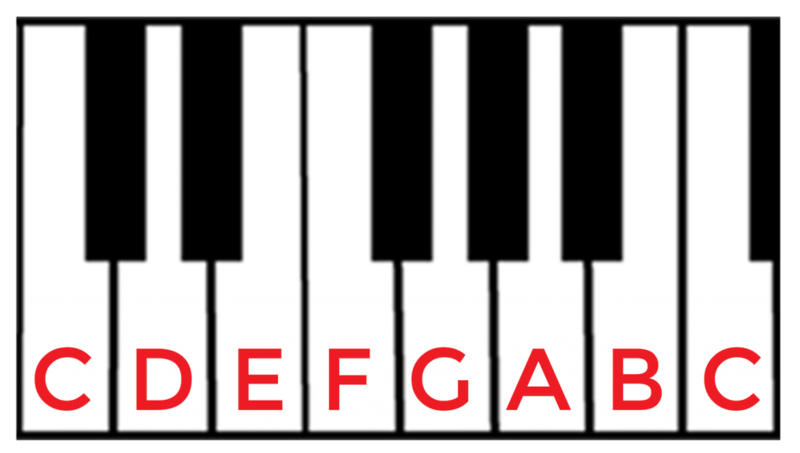 For now go and see how you can play 3rds and 5ths with octaves. While it’s ideal to play this with a second guitarist, you can definitely use it in a one-guitar band setup as well. I hope you enjoyed this lesson, and that you’ll use it when composing dual guitar parts. 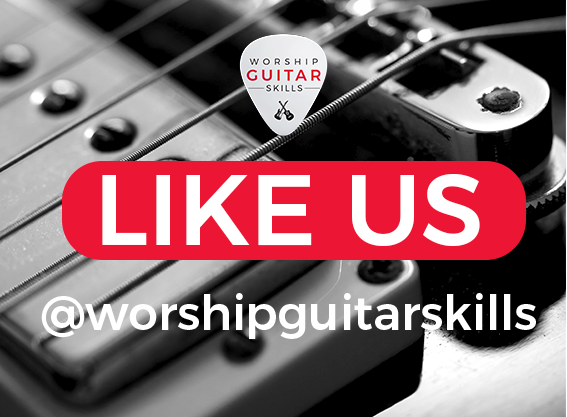 If you want to dive into more approaches when it comes to composing modern worship guitar parts, you should sign up for our free 7 day guitar challenge.